So bro ( -_-" ) another question, do you know the time intervals or how often quest chances are given in game for portal lords? 3 more quests are added at 1am Eastern time for me during the event. Nope. 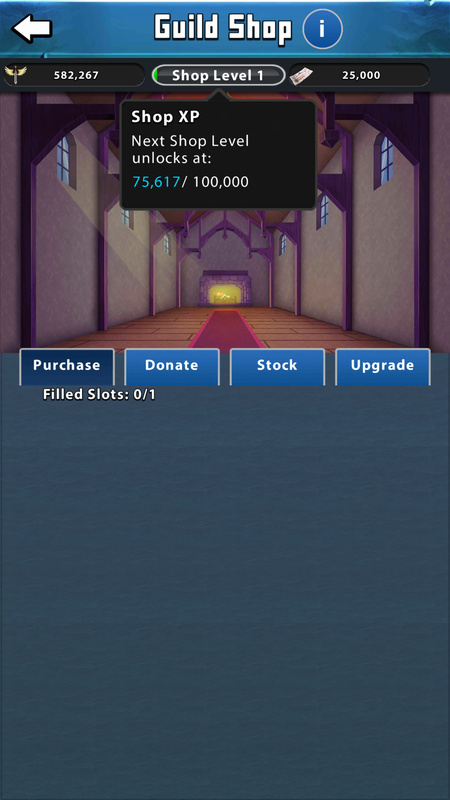 It measures your guild shop level. So another question guys does anyone have an idea on the best strategy to raise your ATK power level? 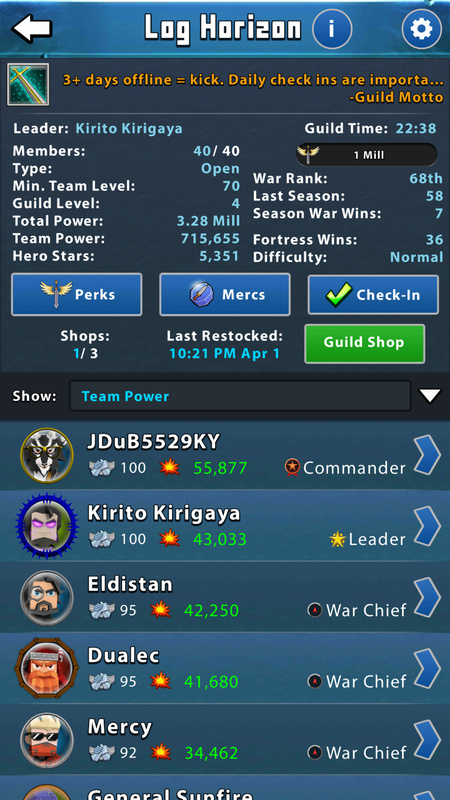 In my guild theres a guy whos 5 team levels under me but still somehow is almost caught up to my ATK power level then theres another guy who is the same team level as me but has over 10000 more in ATK power than me. Ok and is that the only most effective way though? I think it depends on what toons they have been gearing and levelling/promoting. If you click on their names you will see which 5 toons are their highest power toons. Those are the highest power sure, but not necessarily best toons to use. In fact in most cases they just are not used at all. Depends on the server you are on etc. But basically power means … not much. Some players know that a player 5 levels below the cap of the server can beat a player who is at the cap and could have 20K to 30K more team power. Depends on what game mode as well (Arena or War etc). But basically … I never look at power levels. Ever. It doesn’t give much insight to what the battle will turn out to be. How about creating a new post next time? Sorry dude these are just questions I have about the game thats all sorry for any inconvenience. Technically this thread is called portal quest questions. Why are people in chat so judgemental, blinkered and talk about things like they know who you are and what you’ve done / been through in your life? I don’t particularly think it can ever be answered , and it’s not specifically just PQ that it happens on, but still… There’s my question for the thread. Are you telling me that all these people, who know literally anything about anybody, aren’t psychics? Can you just not sell it from items?